COSMANIA, the world's finest beauty brands! 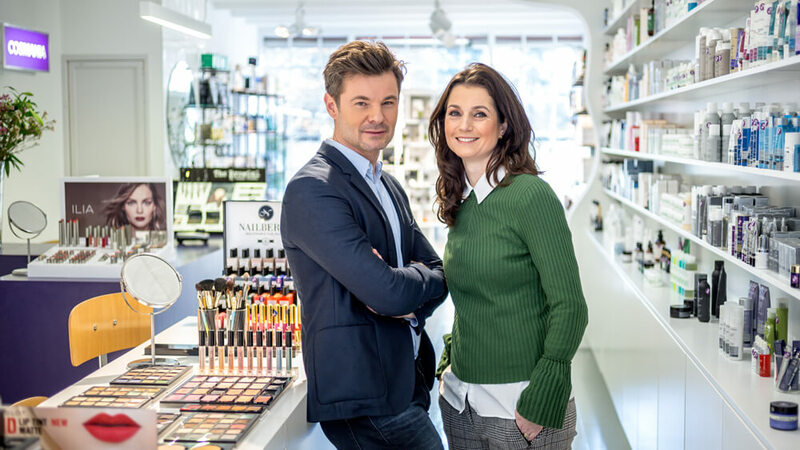 Hello, and welcome to the COSMANIA webshop, where you’ll find beautiful, affordable and very special international cosmetics brands that can’t be found anywhere else in the Netherlands. We love beauty brands with a strong story to tell, and we want to share them with you. Blend with the world's finest beauty formulas. COSMANIA caters for women and men who find pleasure in using beautiful, special and affordable international beauty brands. Our brands have a strong story to tell, and are (mostly) exclusive to the COSMANIA shop. This exclusivity to the Netherlands is just one of the principles of COSMANIA's brand philosophy. Two other principles are openness and interaction. Openness on our site comes in the form of honest product reviews. We value your opinions and experiences with our products immensely! So much so, that they also help determine what we include in our collection. The same goes for any tips you may have regarding international brands you may have seen on your travels or in magazines that you’d like to see in our range and share with other cosmaniacs! You are therefore cordially invited to think with us; to be interactive and enthusiastic. Let us know your tips and we’ll check them out to see if it’s a brand we can take on. Naturally, the COSMANIA scouting machine is not an idle one and, together with our international scouts, we’re constantly on the look out – be it whilst traveling, in magazines, at trade fairs or scouring the Internet - for the best, most beautiful products; products that will fit within the COSMANIA formula perfectly. We are the creators of COSMANIA, and are self-confessed cosmaniacs at heart ourselves. After years of international e-commerce and marketing experience in the fashion, beauty and lifestyle sectors (including international companies such as L'Oreal, Lancôme, Biotherm and Oilily), we decided it was high time we realized our own dream: to start a private lifestyle cosmetics company that caters for women and men who share our love for beautiful beauty brands. COSMANIA combines our interest and passion for foreign products, beauty, photography, design, fashion and trends. In October 2010, it became apparent that there were others out there who were just as enthusiastic about our idea for an online beauty shop as we were when we entered the COSMANIA business plan into the Marie Claire Starters Award – and won! The fact that the judges and public chose us over three other finalists has spurred our enthusiasm for unleashing the ‘cosmania’ bug further. We all know what it means to have received good customer service when you need help, are looking for information, or need things to be clarified. Therefore, we make every effort to explain our products and processes as clearly as possible. We are easily reachable by both mail and phone, as well as by Facebook and Twitter. So if you have any questions, comments, tips, tricks and suggestions, please don’t hesitate to let us know!